Real Conservatism, Real News. Introducing Hayride Texas. Welcome to Hayride Texas, which is a new iteration of an established name for conservative news next door in Louisiana. I’m Zach Cronan, and I’m heading up the new expansion to the Lone Star State in an effort to give us one of the few things the folks to our east have that we don’t – an honest-to-goodness statewide conservative answer to our left-leaning mainstream media. I know what those of you unfamiliar with us are probably thinking, “Great. More clickbait.” Honestly, I can’t blame you, either. As the final nails are driven into the coffin of the newspapers and the rest of the legacy media, independent news outlets have sprung up en masse, resulting in both refreshingly honest commentary and complete drivel alike. Texas is no exception. In the past few days, even our President has enjoyed a few laughs at the expense of a Certain News Network. Many Americans simply do not trust the talking heads anymore, and for good reason. As a nation, we’ve seen Tweets capture entire news cycles while corruption and scandal go unreported. Enough is enough. To be sure, the issue of shamelessly-biased news coverage is not isolated to leftist media. Far too many conservative outlets are equally guilty of publishing lowest-common-denominator rags that simply mock the opposition without any real substance of their own. That’s not news, that’s propaganda. As Hayride Texas bursts into life we aim to fill the void of respectable conservative opinion. We choose to praise even the smallest strides towards a freer society, and still have the integrity to admit when “our guy” runs astray. No longer will the better man (or woman) in an election be cast aside due to their opponents media ties. We stand to share the good, the bad, and the ugly side of races across the state. In fact, if there’s an issue you think we ought to cover let us know! You can email me personally at [email protected], and I and our more than a dozen contributors (and counting) will be happy to do a little digging. 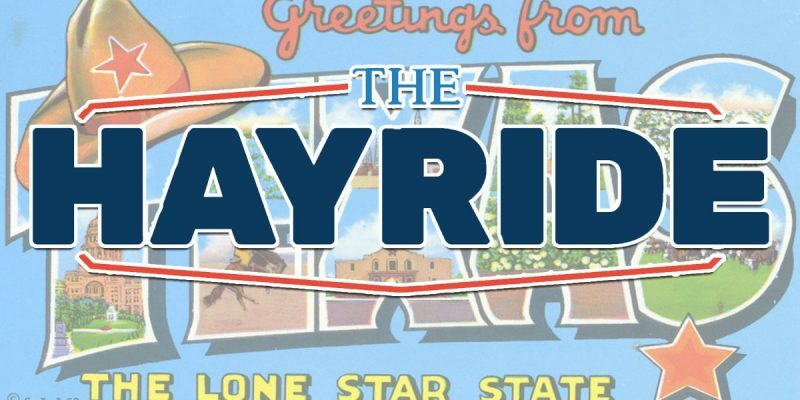 Unlike many of the big-city papers and blatantly slanted news outlets currently operating across the state, The Hayride is a small shop. We’re not interested in catering to any person or party; rather, we seek to advance the cause liberty for all Texans. Through rigorous coverage of local and state politics, we aim to provide the reader with a taxpayer’s perspective, not the developer who stands to profit. While state and local government debts continue to soar, we will keep an eye on the books so that you don’t have to. In order to spare your sanity and ours, Hayride Texas will occasionally step aside from political commentary to cover the characteristics that make Texas great. We have a lot to be proud of in this state, and we’re working each and every day to add to the list. We hope our readers will have a lot of fun along with us. Life is too precious not to enjoy, and we’ll enjoy the heck out of it in these pages. As you take a moment to read this on our nation’s Independence Day, I urge you to reflect upon our Founding Fathers, and all that was sacrificed so that we may be free. Men like Thomas Paine distributed patriotic literature through occupied territory so that the truth might be heard despite the dangers. Nor are we. Happy 4th Of July, and we’ll be seeing y’all!